Some elves are natural toy makers, and get cushy jobs in Santa's Workshop. But for others, it doesn't come so naturally, and they have to work extra hard to be an elf. 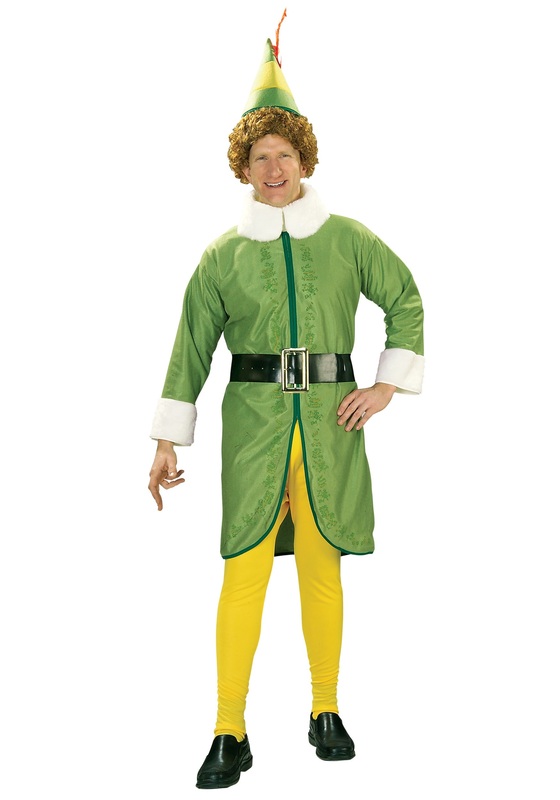 If you feel like a magical elf at heart, but are a bit too tall to fit through the workshop doorway, just toss on this official Plus Size Buddy the Elf Costume to show your Christmas spirit, instead! Before you embark on your new life as a peppy, hyperactive holiday helper, there are a few pieces of advice you may want to keep in mind. First, don't eat gum off the street; it's not free candy. Second, even though elves need less sleep than humans, you should try to get more than forty minutes worth per night (at least until you get used to it). And last, if you think you see Santa in a mall, but it's not Christmas Eve, remember that he's just another one of Santa's special helpers and not an evil impostor, so there's no need to get the cops involved. You'll be off to a good start with those pointers and this cheerfully festive costume, which is designed to look just like Buddy's outfit in the Christmas comedy Elf! The embroidered jacket looks like it would keep you warm even in the Seven Levels of the Candy Cane Forest, and you'll definitely want to grab the matching wig to complete this elvish style. If you have any other questions, just use common elf-sense (in other words: don't be a cotton-headed ninnymuggins), and you'll make a great elf, no matter how big or small you are!